The Great Sami (Velikij samoed). 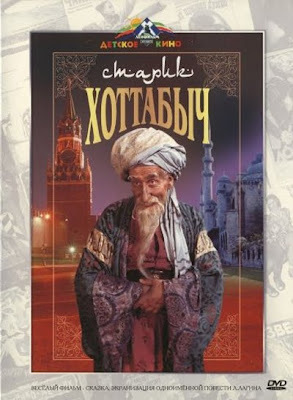 Russian movie 1981 by Alexander Kordon. today we are watching an old Russian movie. This movie tells us about the most famous Nenets painter and author Tyko Vylka, notable for his Arctic landscapes. He was also active in politics and has been elected the chairman of the Novaya Zemlya Island Soviet. Tyko Vylka has been a member of polar expeditions. This entry was posted in Movie for the weekend on March 16, 2012 by admin. “Starman: The Truth Behind The Legend of Yuri Gagarin” – documentary film tells the extraordinary story behind the legend of Yuri Gagarin – a moving tale of the young son of a peasant who became the first human being in space. It is a true history of Gagarin with the real people involved. No one book or even a documentary video can be claimed as the only and whole truth of a story. The movie director and writer choose what episodes to pick up and what questions to ask people. 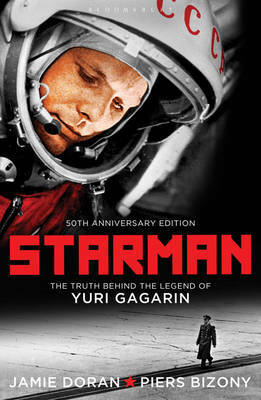 But anyway “Starman: The Truth Behind The Legend of Yuri Gagarin” is a very good interesting movie and worth you to watch. This entry was posted in Documentary, Movie for the weekend on April 12, 2011 by admin. Today Russian Video from Russia starts publishing a remarkable documentary movie about WWII “The Unknown War”. Host and Narrator Burt Lancaster will tell us story of WWII Eastern European front based on archived videos of WWII. I don’t know what you think about Soviet Union but I think the series “The Unknown War” must be watched because they tell you not only about Soviet Union but about human race about heroism of people… and when you watch it and you know that is not Hollywood tale but truth …you feel proud to be a human. Here are all twenty series of the movie, each of title will become a link when we’ll publish it. Spent the afternoon being interviewed on film as part of the extra features that will be included in the multi-disc boxed set of The Unknown War, being released in May by Shout Factory Video. So many memories of the year and a half I spent in Russia composing the music and editing scripts for the series. 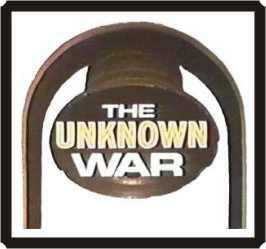 I had come to fear that The Unknown War would become The Unknown Series as far as America is concerned. Because of The Soviet Union’s attack on Afghanistan (does the phrase attack on Afghanistan have a familiar ring?) America and much of the world boycotted The Moscow Olympics, the Cold War grew even more frigid and only a few episodes of our series were aired in The United States. An American & Soviet co-production, the U.S. Company went out of business and Shout Factory had to contact Soviet- Film for the rights and masters –– so it’s a small miracle that after more than 30 years the series will be making its return for viewers here. Meanwhile, thanks to you, the double soundtrack LP has become one of Stanyan’s all time best sellers. It will be updated and re-released on CD (by Stanyan or Shout Factory) to coincide with the DVD release. Narrated by Burt Lancaster and produced by Isaac Klinnerman (of “Victory at Sea” fame) The Unknown War is a 20-part account of WW II on the Eastern Front, in which more than 20 million Soviet citizens lost their lives. Yes, twenty million! Much of the footage in this epic has never been seen before and was taken from masters held by The Kremlin since the 1940’s. What makes the series so important for North American and Canadian viewers of today? While there have been British, French and American documentaries on WW II that tell us of The Battle for Britain, The French Resistance, Pearl Harbor and Bataan, even today our knowledge of what went on at the Eastern Front is not only incomplete but in most cases non-existent. As I pointed out in my interview because of their openness and because The Allies were the victors we know almost all there is to know about WW II from the point of view of Japan and Germany; but Russia / The Soviet Union has almost always been a closed society there just hasn’t been that much insight or access on the 4 year Axis vs. Russia battles. Operation Barbarossa (named after a famed German general) and dubbed The Great Patriotic War by Russians is a fascinating and mostly missing part of world history. I for one am thrilled that despite 30 years of neglect this valuable and entertaining documentary will finally be available to the wide audience it was produced for. Selfishly I consider the music and script supervision I contributed to The Unknown War some of my best work. And wait till you hear the music that was left out of the original album that will be included on the new soundtrack CD. If it comes out on Stanyan it might even be a double disc priced as one. So today I’m on a big high. This entry was posted in Documentary, Movie for the weekend, The Unknown War, WWII on January 29, 2011 by admin. Maybe Vanya Solntsev was strange, but he did not want to go to Italy. The only what he wanted he wanted to find his real (biological) mother. So today we are watching a contemporary Russian movie made in 2005 by Andrei Kravchuk as movie director. The screenplay by Andrei Romanov, inspired by a true story, focuses on a young boy’s determined search for his mother. The film won the Deutsches Kinderhilfswerk Grand Prix and the Glass Bear for Best Feature Film at the 2005 Berlin International Film Festival. Andrei Kravchuk won the CIFEJ Prize, awarded to the director of films especially designed for children or suitable for them, at the 2005 Carrousel International du Film in Montreal; the Cinekid Film Award at the 2005 Cinekid in Amsterdam; and the Grand Prix at the 2005 Honfleur Festival of Russian Cinema in France. The film was Russia’s submission for consideration in the category Academy Award for Best Foreign Language Film at the 78th Annual Academy Awards. This entry was posted in Movie for the weekend on December 28, 2010 by admin. 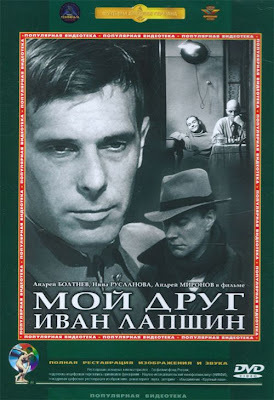 Today we are watching a movie “My Friend Ivan Lapshin” directed by Aleksei German. This movie made on Russian film-studio Lenfilm in 1986. At the beginning of the movie we see an old man who is watching his grandson playing and he starts to recollect his past when he was a kid and they lived in “kommunalnaya kvartira” (an apartment what shared by a few families). The movie is turned to a black-white version and we will watch a little piece of life in Russian provincial town Unchansk. Ivan Lapshin is the head of the investigation department of local police. He is catching gangs and falling in love, he has friends and lives his life… You will be surprised by not finding anything terrible in soviet life in 1937. It’s a very good movie and worth watching. This entry was posted in Movie for the weekend on August 15, 2010 by admin. Russia remembers the accident on board the nuclear submarine Kursk that happened exactly 10 years ago during the naval exercise left all 118 members of its crew, most of whom were under 30, dead. On Russian Video from Russia we are watching a documentary movie “The Sinking Of The Kursk”. This entry was posted in Documentary, Memory, Movie for the weekend on August 12, 2010 by admin. 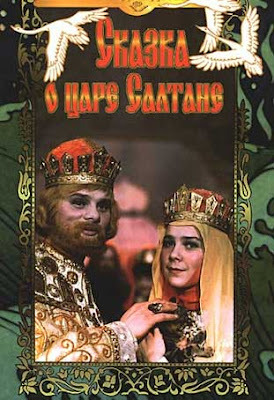 Russian Video: Old Khottabych (Movie for kids)! The fantasy comedy film based on a book “The Old Gennie Hottabych” what was written in 1938 by Lazar Lagin. In 1956 the author made some changes to the story and the movie is based on new version of it. In this movie we will meet Volka (a 12 years old pupil one of Moscow school), his friends and an old (3732 years old) Gennie Khottabych, who tries to help Volka in all his wishes. This entry was posted in Movie for the weekend on July 17, 2010 by admin.